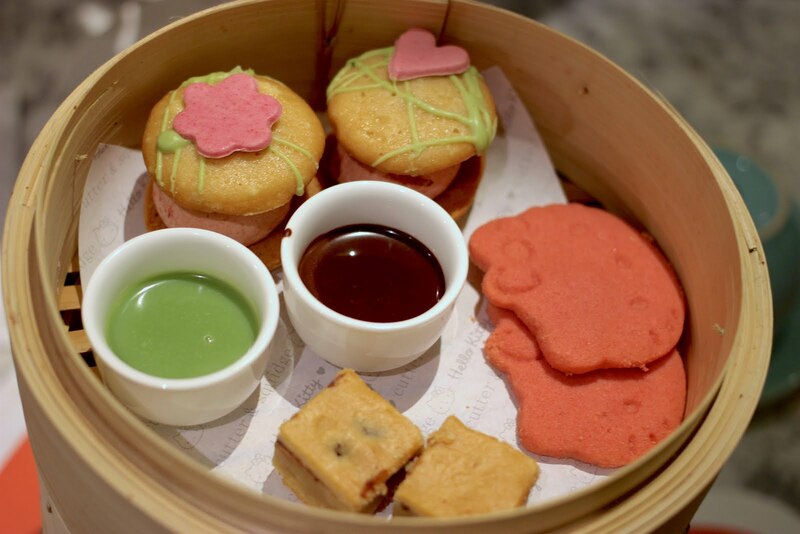 If there are four words that are going to have us jump on the next train to London, they are ‘Hello Kitty Afternoon Tea’. Throw in a Secret Garden and you’ve got two very excited bloggers. 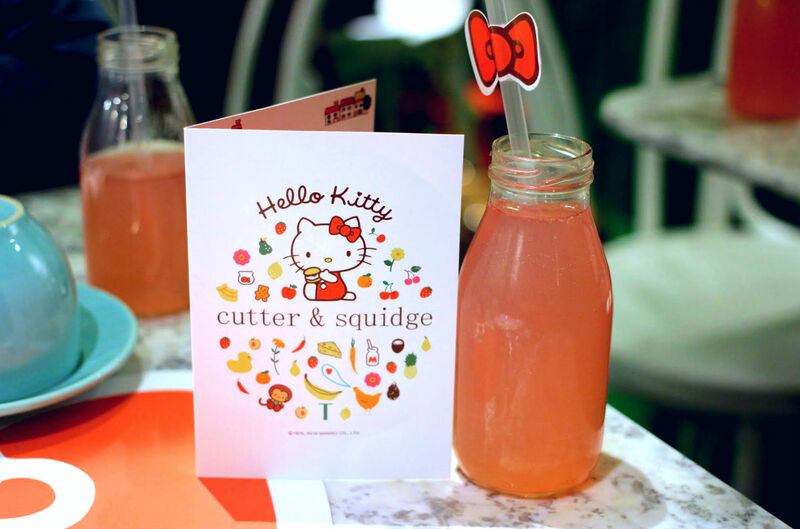 Cutter & Squidge, a Soho-based cafe has been offering its Kitty-themed Afternoon Tea since June but it has proved so popular that even ATC couldn’t bag a booking before last weekend! For this special tea, guests are guided by a trail of pink Hello Kitty bows to the downstairs Secret Garden which is suitably kitted out with artificial leafy green vines, flowers and a plush Hello Kitty tree. The tearoom itself is rather small so it’s not the quiet tea experience that some traditionalists may be familiar with, but the lively atmosphere complements the playful theme here well. To start guests are given an old school glass bottle of Mimmy’s Pink Lemonade and a choice of Loose Leaf tea including a special Hello Kitty blend. We went for our usual English Breakfast and Earl Grey. The main event comes presented in a unique bamboo steamer style stand with a total of five layers to get through. The novel presentation did prove a little tricky on such a small table but nothing a little plate shuffling couldn’t fix. First we tucked into the sandwich selection which included cucumber and cream cheese, salmon and chives, cheese and red onion and the deliciously different, hummus and pepper. We just had to ask for more. 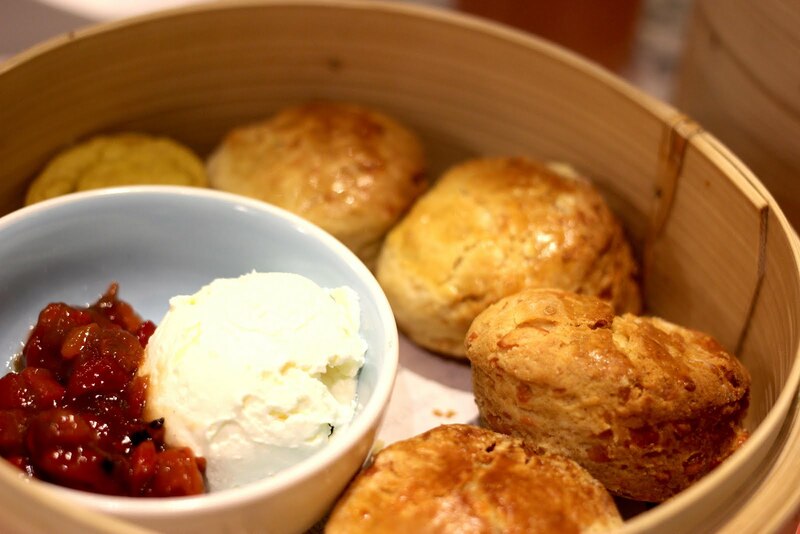 For the all-important scones, Cutter & Squidge have gone for a savoury twist offering cheese scones with red pepper relish and cream cheese. An interesting but fitting choice for such a sweets-heavy menu and there were also some delicious mini coronation crackers to go with it. On to the sweets and there are whole three layers to work through but that’s never been a bad thing in our books. Particular highlights included the cake truffle, Kitty’s Chocolate Mud Pie and Mimmy’s Pink Lemonade Marshmallow which amazingly does have a real lemonade fizz to it. Many of the desserts come with a Kitty theme whether shaped like her, dyed pink or decorated with her signature bow. As pretty as some of the creations were we felt that the tea lacked the wow-factor that we had hoped for in a Kitty-themed palette and would have liked to have seen a bit more colour and fun thrown in to really make the most of the theme. That said some of the sweets tasted absolutely amazing and we would recommend even just popping into the shop for a slice of cake. 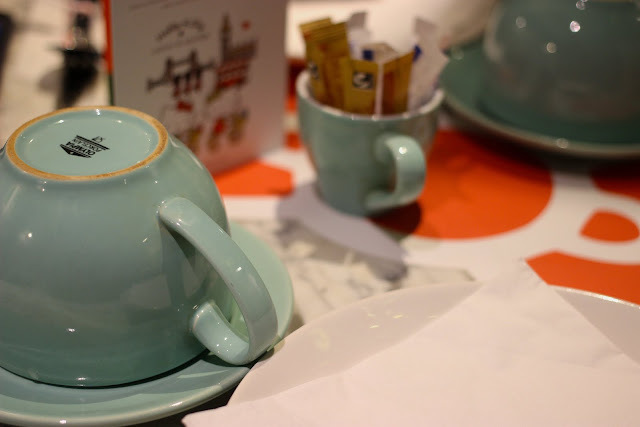 The overall experience was pleasant and it was nice to try a tea with a fun twist. 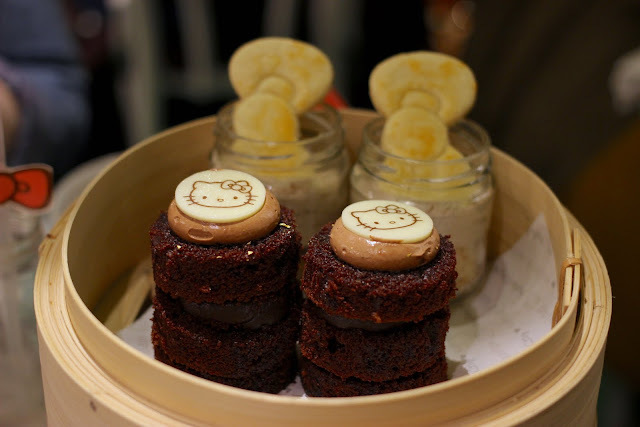 As you would expect from a Hello Kitty event, it’s very family friendly which, in such an intimate space might be a little off-putting to those used to the classic relaxed afternoon tea experience. On the other hand, it’s a good place to pass an afternoon during the school summer holidays that’s a treat for both parents and kids alike. I was shocked at the £40pp price tag. If it's unlimited though it might be worth it.